Violet Lupuwana is a woman who knows where she's going, and knows just what it's going to take to get there. Lupuwana started Chumile Transport Services, a division of transport business Chumile Holdings, in 2012 and has been on the proverbial road to success ever since. The 100% woman-owned business boasts a national and international footprint, and clientele varies from universities and schools, community based organisations, construction companies, corporates, manufacturing, automotive, tour operators, hospitality, retail and fast-moving consumer goods (FMCG), government and the general public. They are serviced through a fleet of 30 vehicles ranging in size from five-seater sedans up to 65-seaters used for shuttle services, transfers, chauffeur services, staff transport contracts and tours. In addition, the company has a 2.5-ton truck for transporting goods and pallets. All the vehicles are roadworthy and fitted with tracking devices. Chumile Transport Services holds offices in Gauteng and the Eastern Cape, as well as satellite offices in the Western Cape and KwaZulu-Natal, which it shares with partner organisations. Lupuwana currently employs 36 people – 16 permanent and 20 part-time – and plans to hire another 10 by the end of 2018. All the drivers have PrDPs licences and the tour guides are qualified to ensure the business offers memorable experiences. 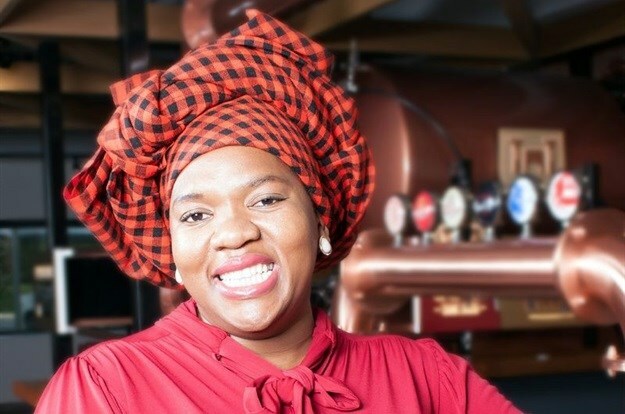 The 32-year-old is a qualified and professional industrial engineer with over 12 years of industry experience in manufacturing, automotive, consulting, FMCG. So it's no wonder she was chosen as one of the 2018 SAB KickStart Boost programme's 21 finalists. Tell us about your start-up and the inspiration behind it? Chumile Holdings was established out of a burning desire to duplicate the great work I was doing in my then-employer company, to other organisations and individuals who could benefit from my services. After an exciting 12 years of corporate and consulting experience as an industrial engineer, holding titles such as a lean manufacturing specialist, continuous improvement specialist and project manager, but to name a few, the entrepreneur in me resurfaced and I felt the need to branch out and pursue my own business where I could have a much greater impact and reach to organisations that need my professional service. A few months after stepping out of corporate as an employee, I then identified an opportunity to add value to the improvement of productivity and the efficiency of other organisations who were struggling with transportation challenges. That is how Chumile Transport Services was established. Having worked for several industries, I have witnessed how organisational productivity was hindered by employees and goods that arrived late for work or for production, due to delays in the transportation thereof. Having experienced the great inconvenience caused by these delays in transportation, I then decided to go and problem-solve these challenges by contributing to the improvement of productivity as a service provider and no longer as an employee. In this way I can affect the much-needed change in more than one organisation. I realised that by breaking free from employment, I could allow myself to impact more people’s lives and more organisations, which is what my soul longed for and what I am currently doing. All I have to do going forward is to duplicate myself and our business systems that have started yielding some wonderful results for our current clients. As an experienced industrial engineer who delights in adding value, I find much fulfilment from being efficient and having a high overall personal efficiency (OPE) similar to how we used to strive to improve the overall equipment efficiency (OEE) in the manufacturing world. Where do you plan on taking it from here? I would like to expand my footprint both locally and in Africa, by penetrating other sectors such as mining and the agricultural industry as a provider of staff transport, shuttle services, as well as freight services. This would also come by growing sales with some of my current clients to a level where I start servicing their African operations. I would also like to increase my fleet by acquiring trucks for commodity transport, and luxury coaches and semi-luxury coaches for my tourism market. Where did you hear about the SAB KickStart Boost programme? I heard about it from a friend in Port Elizabeth. More business skills; to build and increase my network; access to market – learning how to sell, how to present my service offering to different clients; learn how to retain clients and gain access to funding. How important do you feel it is to be introduced to entrepreneurship and innovation at an educational level? I feel very strongly and positive about it. 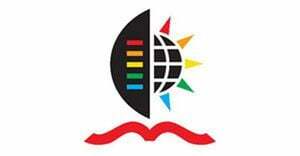 I believe entrepreneurship and innovation should be introduced at basic education level and should be compulsory, even up until a learner graduates from university. The experience will serve them well. 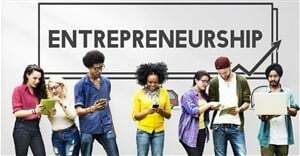 However, entrepreneurship should be practical and not just theoretical while in the basic education band. Entrepreneurship should be taught by entrepreneurs who have walked the journey and those who are still at it. The learners must come for internship and experience life in entrepreneurship. It is very important that children are taught to innovate and to run enterprises from an early age, so that they can learn from the mistakes they will make in their infancy stages of entrepreneurship. What advice do you have for young entrepreneurs who are just starting out themselves? Organise resources and make things happen. Operate. Run your business and manage the systems. Assume risk. Be prepared to take some risks as an entrepreneur. This is a lifelong experience. To be an entrepreneur you need to have a tough mindset. The tough mindset you develop by standing in the heat of things and situations in this life. Find a problem to solve, solve it better than your competitors. Always stay relevant to your market. Have a love for what you do. Continuously develop yourself as the entrepreneur. Read. Read. Read, and practice what you learn. Believe in yourself. Know yourself, what you can and can’t do. Don’t bite off more than you can chew. Pace yourself. Enjoy the journey. Don’t be too hard on yourself. Embrace the learnings from your failures. Don’t be afraid to fail. Dare to stand out.